In July 1997, the city of Bonney Lake distributed a questionnaire to approximately 3,100 Bonney Lake households and received 150 completed questionnaires. The purpose of the survey was to gauge demand for the various types of recreational facilities in the area. It is now too old to be relied upon but it can be used to corroborate other findings. The majority of those who responded indicated that their first priority was a system of walking/jogging/biking trails, followed by sports fields, children’s play areas, and picnic areas. Respondents assigned high priority to acquisition of new park land. For a complete summary of the park survey results, see the Parks Plan – adopted by Ordinance #767 on March 24, 1998 – available from the Department of Community Development. 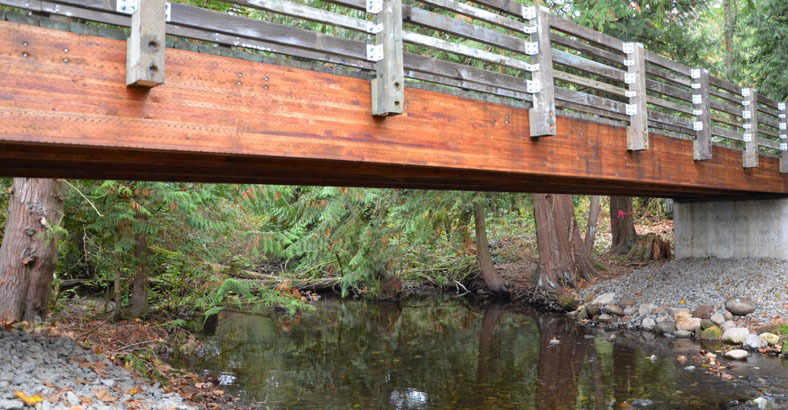 In April of 2005, the landscape architecture firm Bruce Dees & Associates was retained by the City of Bonney Lake to work with a citizen Ad Hoc Committee with the goal of planning a general trail route to connect Allan Yorke Park to the Pierce County Foothills Trail, following the Fennel Creek corridor. 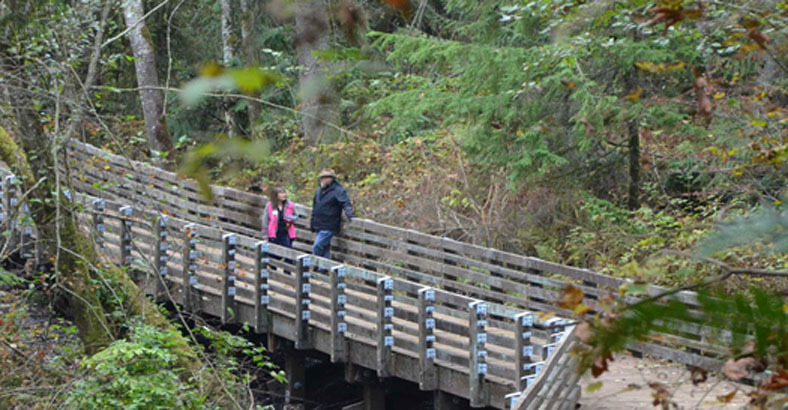 A detailed route was to be defined from Allan Yorke Park to Victor Falls, the portion of the trail within the city limits of Bonney Lake. The first segment, which provided access from the residential neighborhoods to Victor Falls Elementary, was completed in October of 2013. • Map the location of the proposed trail and connections to local sidewalks, feeder trails, and the Foothills Trail system. • Create the standards that will guide trail construction. 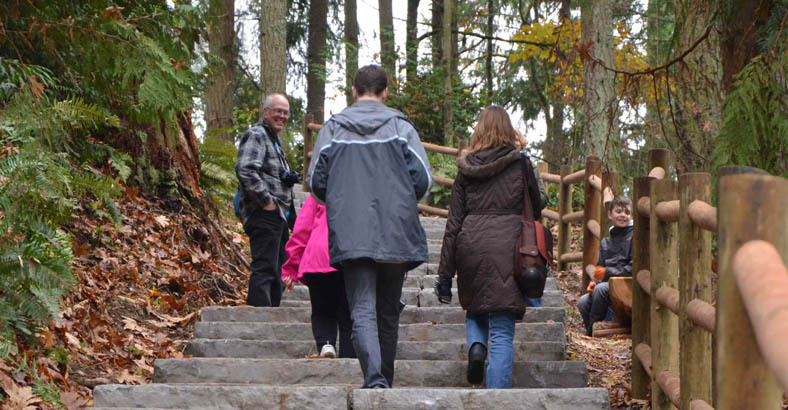 • Create a detailed implementation strategy using the subdivision process, land acquisition, and trail construction from the Parks Impact Fee fund, grants, and other sources. • Identify other potential trail construction funding sources and grants. 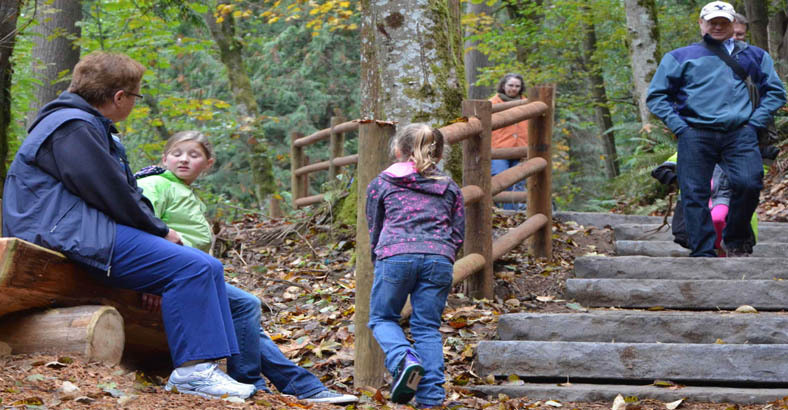 • RECREATION USE – Provide a safe multi-use trail to include walkers, bikers, and horse riders that is compliant with the Americans with Disabilities Act (ADA). • COMMUNITY NEEDS AND ISSUES – Address community needs and concerns, especially those of abutting property owners. • HABITAT PROTECTION AND ENHANCEMENT – Sensitive areas should be protected and/or enhanced by the trail. 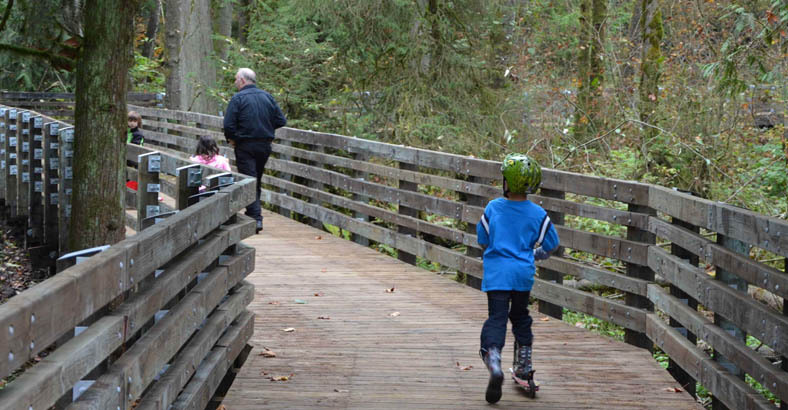 • PUBLIC EDUCATION – Provide opportunities for public education of the importance of the Fennel Creek system, its habitat, the wildlife it supports, and its importance to the Puyallup River Basin. The Fennel Creek Trail will one day connect Allan Yorke Park to the Foothills Trail and the future Pierce County Flume Trail. 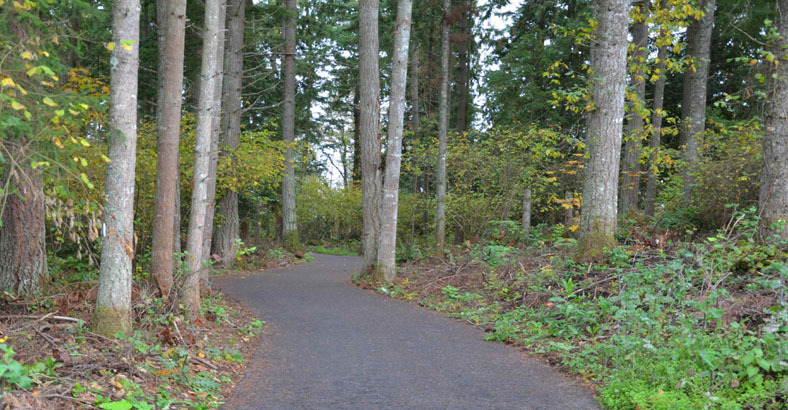 The City of Bonney Lake will develop the portion within the city limits (approximately 5.2 miles) from Allan Yorke Park to Victor Falls, toward Foothills Trail, and to 214th Ave. E. – toward the Flume Trail. The trail will parallel the creek within the creek buffer to allow trail users to experience the sights and sounds of the woodlands and pastoral scenes along the creek corridor. Some of this corridor is currently in City or other public ownership. Much of it, however, is under private ownership. As such, the trail route must be developed over time as private property is purchased – or is acquired through the City’s subdivision approval process. Until trail property is acquired, the initial sections of the trail will be connected using existing public right-of-way as “short-term links”. To that end, sidewalks will need to be built along some of the streets.